The Ethernet Technology Day focuses on bringing low-cost Ethernet AVB wiring to the car, replacing expensive coax or LVDS cabling for cameras. Videantis exhibited at the Renesas booth, showing our low-latency, high-quality H.264 codec integrated with Renesas’ Ethernet AVB solution. 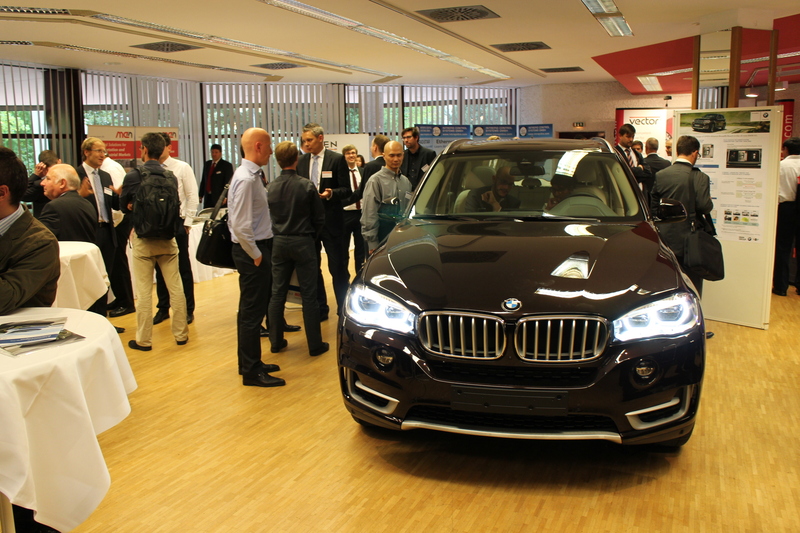 At the show, BMW was showing their new Ethernet AVB-based X5, which has been announced, but isn’t commercially available yet. The car includes 5 cameras, for front/back and top-view applications. The latest Mercedes-Benz S-class has 7 cameras on board. These are both high-end models, but cameras are quickly being integrated across the price spectrum, for improved safety and a more comfortable ride. For example, in the US, rear-view cameras will be mandated for new vehicles sold from 2015 onward. While most cameras aren’t H.264-enabled today, there’s a drive toward adoption of H.264 due to the higher quality it provides. We’re looking forward to seeing you all again at next year’s show, which will be held at the heart of the US-based automotive industry: Detroit.